Click on chart to expand. ARCATA – On April 15, Tax Day, volunteers conducted the annual Penny Poll in front of the Arcata post office. 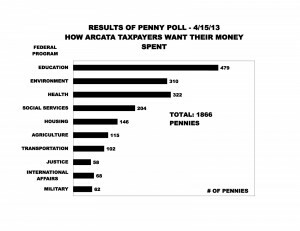 A total of about 186 people took the time to vote by distributing ten pennies among 10 containers labeled to represent major government programs. By choosing where they want their federal tax dollars to go, they can also inform the community about their priorities. 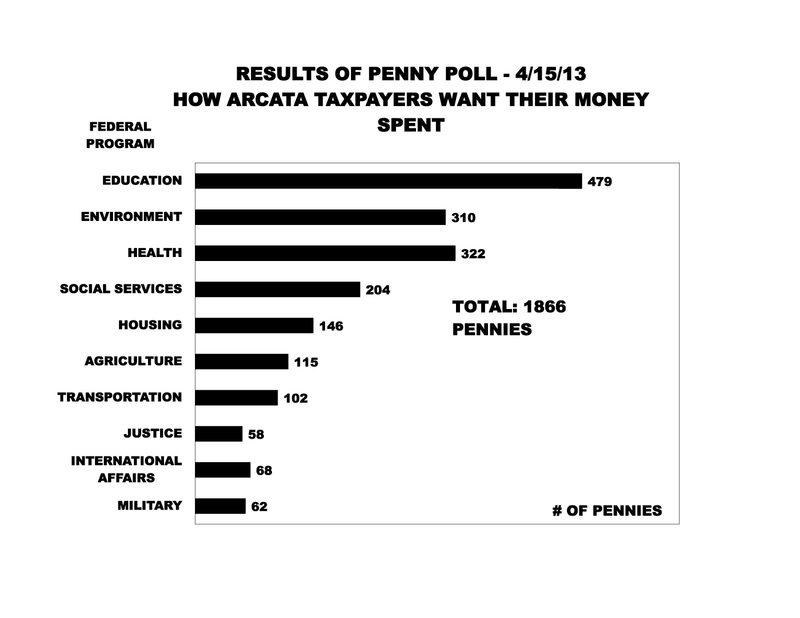 The graph of the Penny Poll votes by Humboldt County taxpayers looks like an inverted image of the federal government priorities. The federal budget allocates 55 percent of our discretionary budget tax dollars to the military, and a total of 18 percent to Education, Health, Environment, Housing and Social Services. 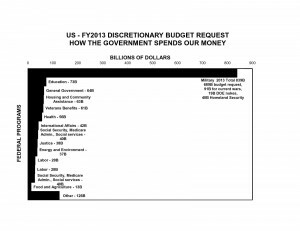 Local people choose to give only three percent to the military and 78 percent of their taxes to those five programs. 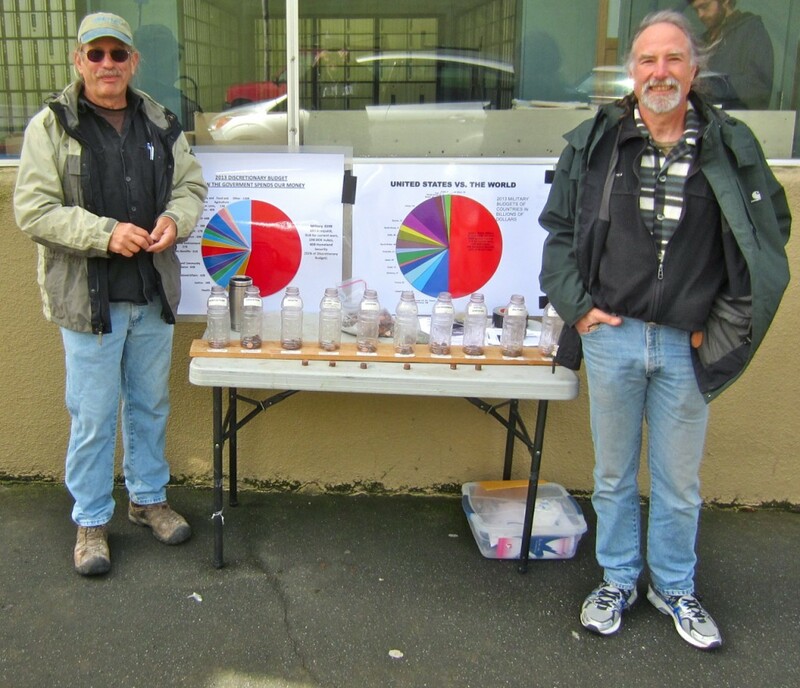 The Penny Poll is carried out every year on tax day, in front of post offices across the country. While results do vary slightly from city to city, the poll consistently shows broad consensus for a federal budget that addresses people’s basic needs rather than shoveling funds into the military-industrial complex. This entry was posted on Thursday, April 25th, 2013 at 12:21 pm	and is filed under Opinion. You can follow any responses to this entry through the RSS 2.0 feed.